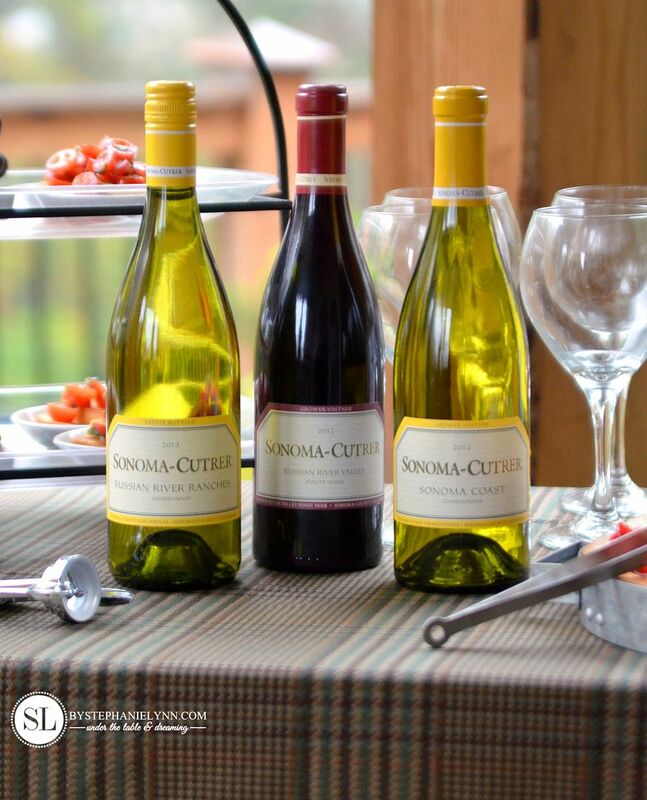 Wine Tasting Party – fall entertaining | This post brought to you by Sonoma-Cutrer Vineyards. All opinions are 100% mine. Autumn is here and we have been savoring every last minute of this beautiful weather. It’s my favorite time of year to entertain especially outdoors. Nothing quite compares to the backdrop of some gorgeous fall foliage. The perfect setting for a wine tasting party. A casual wine tasting party is a fun way to gather friends, experiment with new varietals, and discover a new favorite bottle. Nothing contributes more to a wine experience than through tasting. 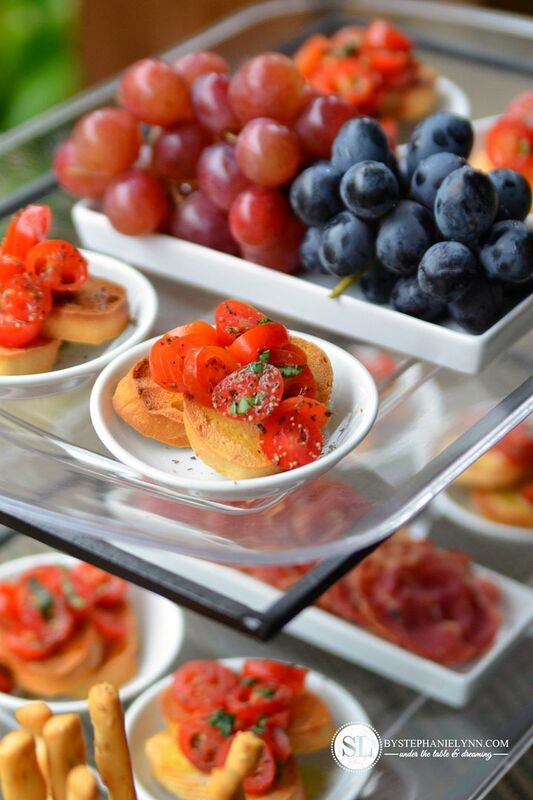 For a single wine tasting limit the number of wines so your guests can appreciate the flavors – and not be overwhelmed. There are many different versions of wine tasting – from varietal, region, pairings and beyond. You do not have to be an expert in wine to enjoy a tasting, so of course you can simply choose your favorite bottles to serve as well. 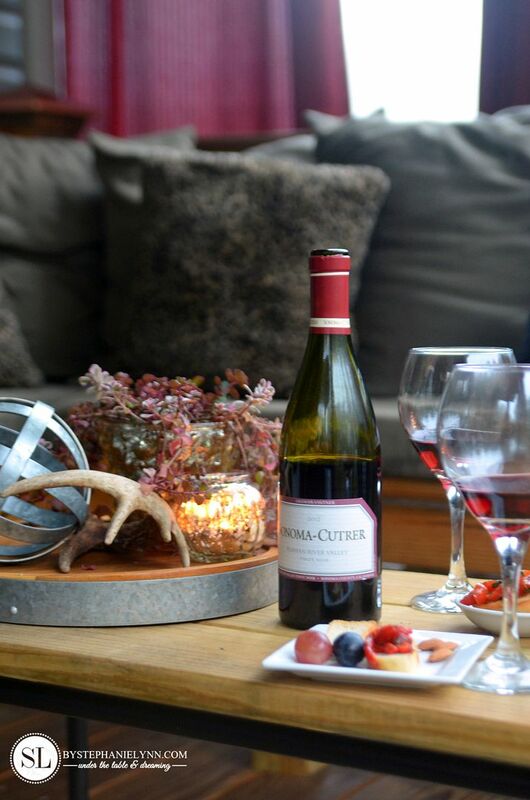 For our tasting we had the pleasure of trying a mix of both pinot noir and chardonnay varietals from Sonoma-Cutrer. 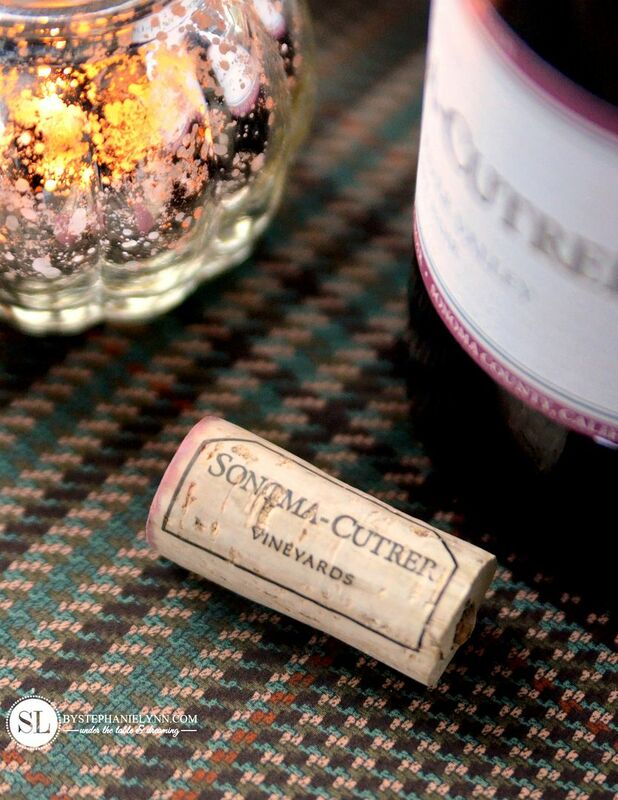 Sonoma-Cutrer has been producing the finest quality wines since it opened as a vineyard company in 1973. Its foundation is built in the hillsides and rocky foothills in the region recognized as the Sonoma Coast Appellation – this region experiences long, even growing seasons thanks to the cool, foggy coastal climate. 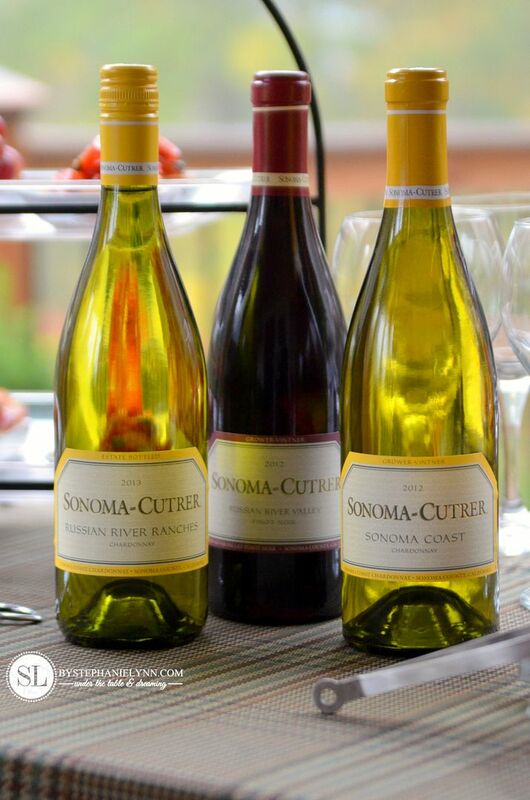 Select grapes from The Cutrer Vineyard are used in the Russian River Ranches and Sonoma Coast Chardonnay blends. There are also small lots of grapes that contribute to the limited-production Pinot Noir. 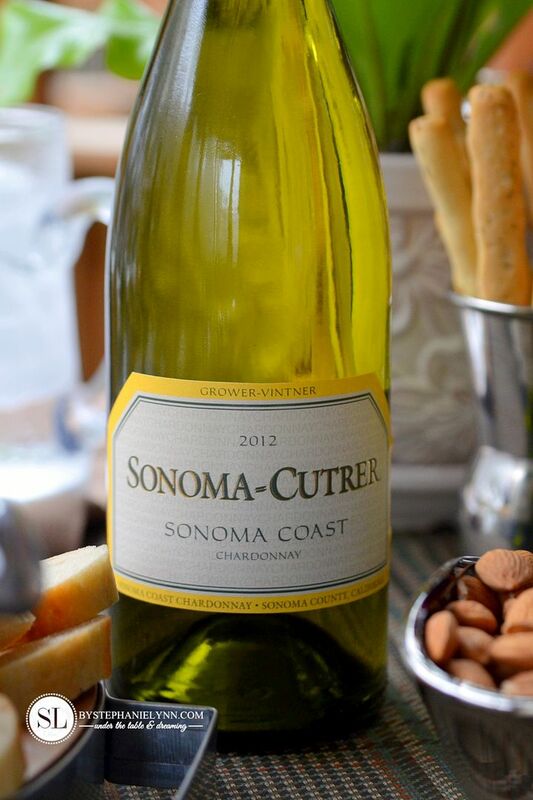 Flavor Notes: Aromas of Fuji apple, fresh roses, lime, lemon blossom and nectarine are complemented with touches of nougat, baking spices and Sonoma-Cutrer’s signature wet stone minerality. 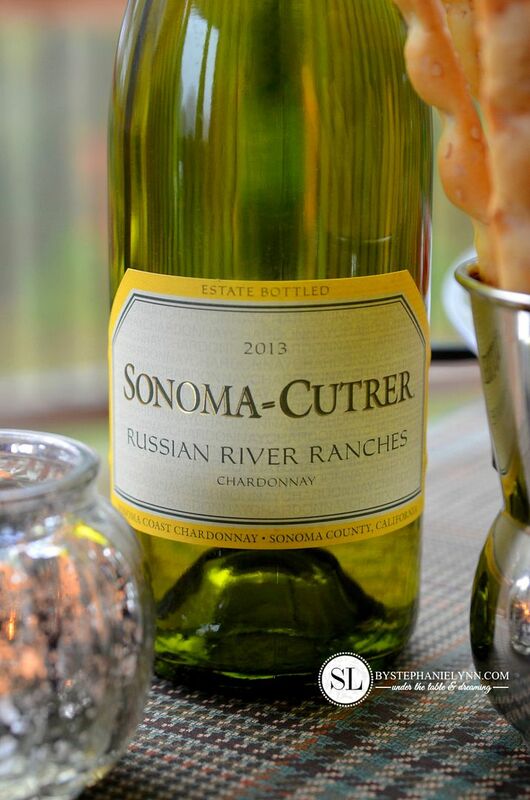 True to the Russian River Ranches style, the wine is elegant and balanced with a nice, bright acidity and a long focused structure. Crisp and zesty flavors of lemon drop, lime and grapefruit are accented with a nice barrel spice. A light, creamy mid-palate flows into a crisp, citrus acidity rounding out to a long and persistent finish. Flavor Notes: This vintage is an elegant balance of sensuous fruit and lovely silky tannins. The initial impression of this wine starts in the nose with deep, dark fruit aromas of blackberry, raspberry, and black cherry with a touch of cola. 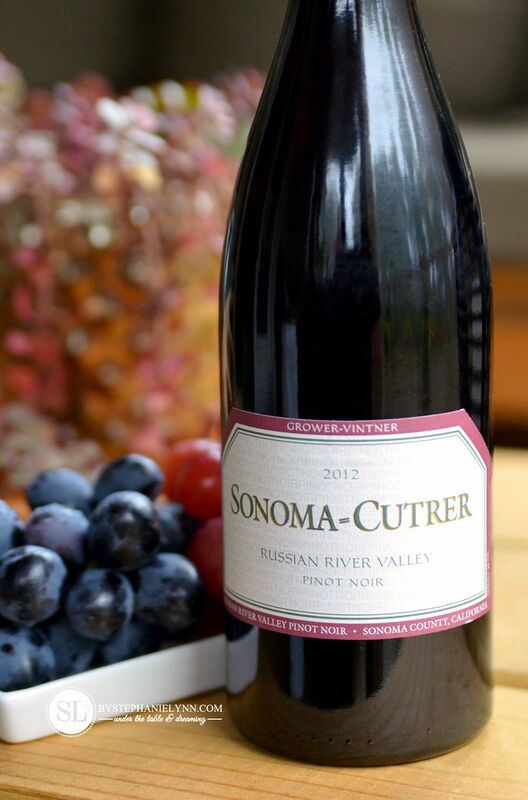 Classic red fruit flavors of cherry and wild strawberry are hallmarks of Russian River Pinot Noir. The wine is round, silky, and elegant with a juicy mid-palate and a wonderful long finish. 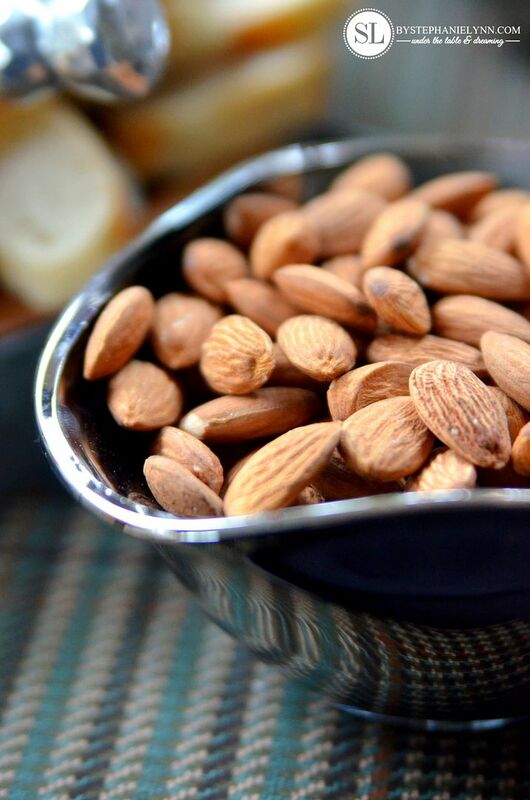 Flavor Notes: Fruit aromas of Golden Delicious apple, Bosc pear and white peach are accented with toasted nuts, oak spice, a hint of vanilla and a touch of butter. This wine has the signature Sonoma-Cutrer balance between elegance and richness for a medium-bodied, mouth-filling wine. 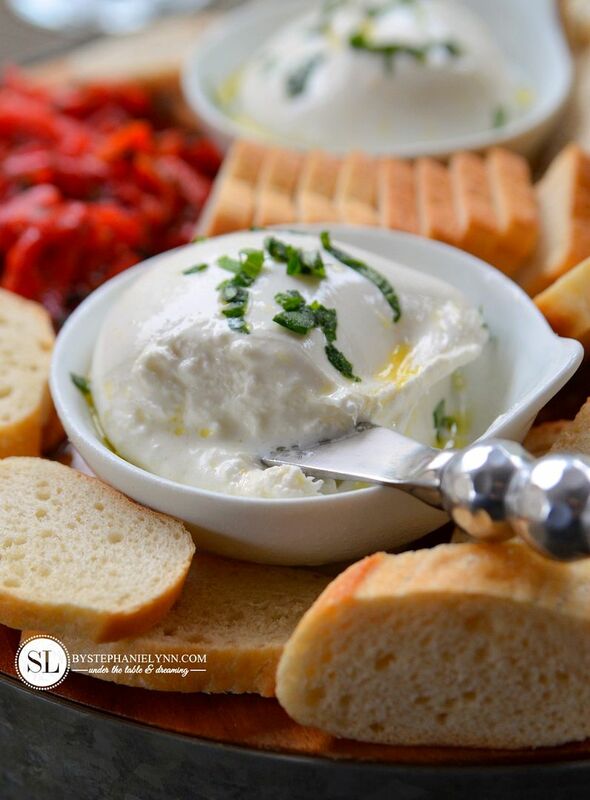 The creamy richness is balanced with a bright acidity and highlighted with flavors of apple, pear and lemon zest. Since several wines will be poured throughout the evening, a tasting pour is generally 2 ounces. This will give each guest enough to get a feel for the wine and evaluate the color, aroma and flavors. Keep in mind a standard bottle of wine is little over 25 ounces – so if you’re hosting more than 12 guests, grab two bottles. For tasting serve wines in order of weight. Work from dry to sweet white wines and then progress from light to full-bodied red wines. 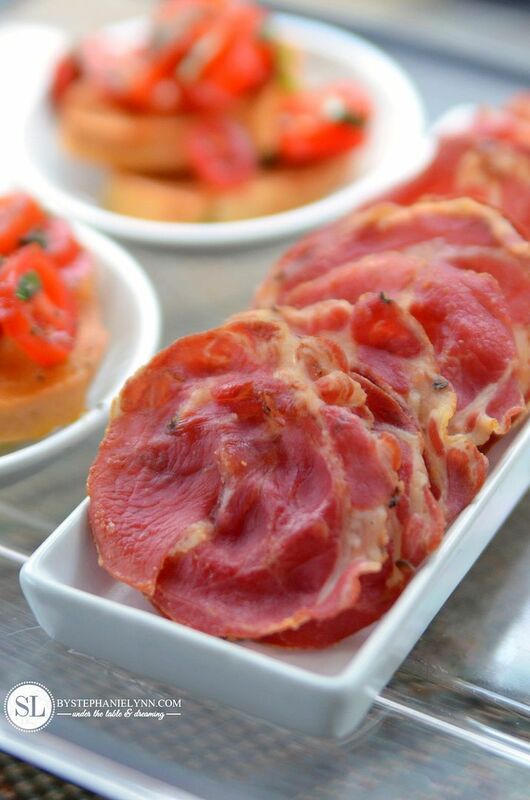 Also keep in mind the suggested serving temperatures to ensure increased flavors and aromas. Generally white wines – such as chardonnay, sauvignon blanc, and riesling – are served cold from the fridge. 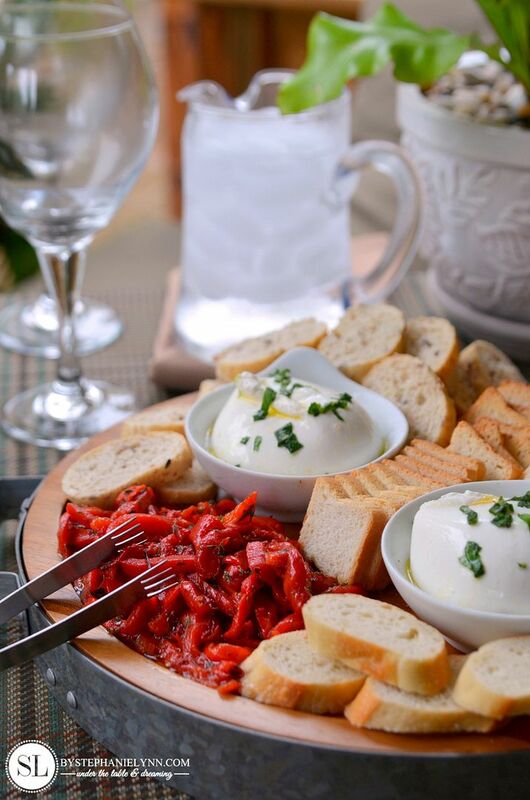 Light reds – such as pinot noir and zinfandel – are served cool – 30 minutes in the fridge before serving. 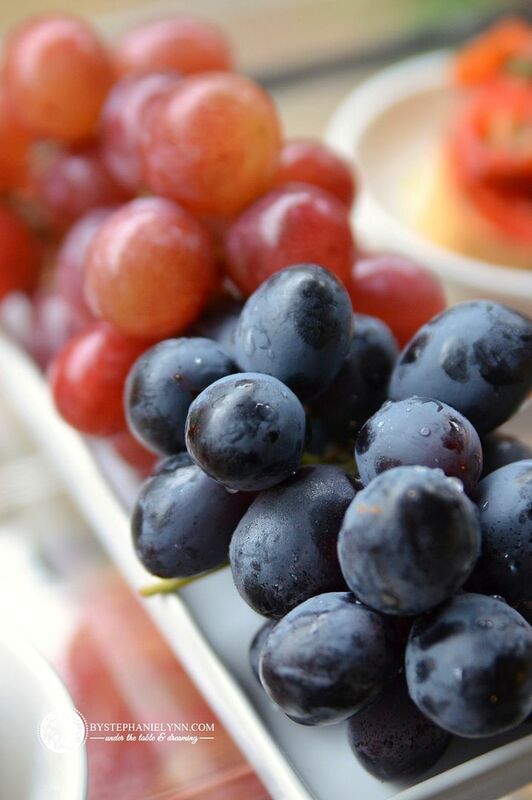 Rich reds – such as merlot, bordeaux, and cabernet – are served slightly cool. 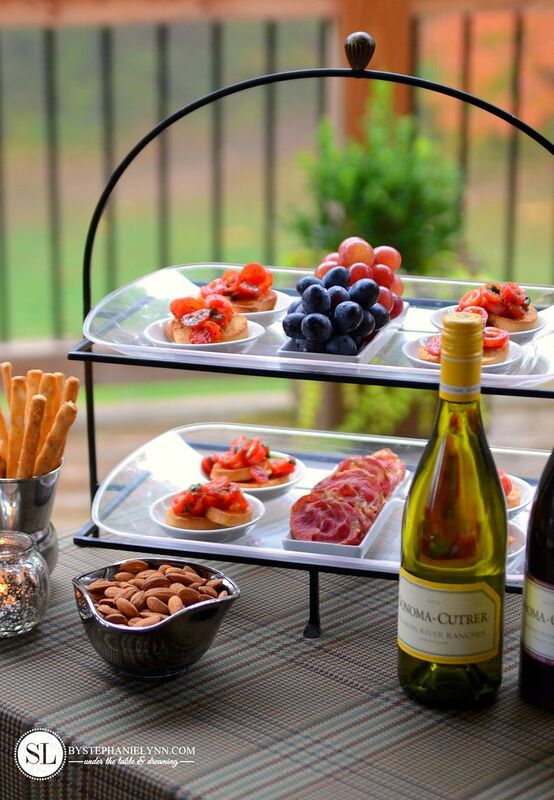 While most parties are centered around food it’s ok for wine to be the star of a tasting party. 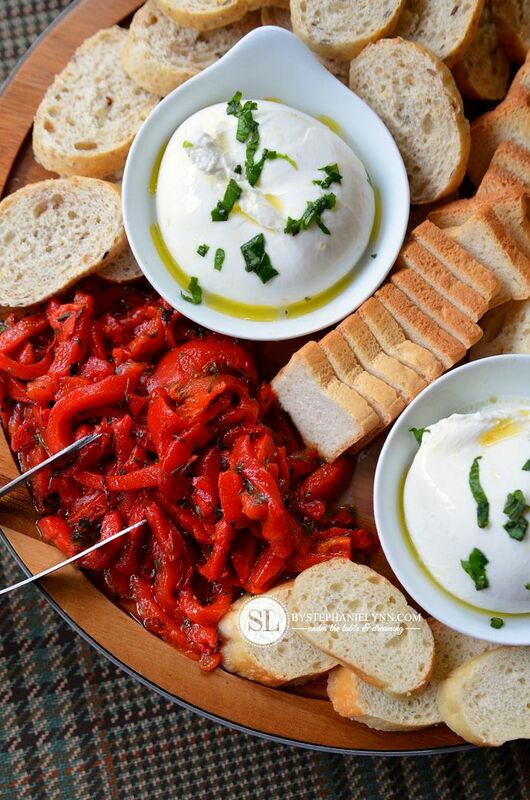 Sure traditional pairings are tried and true – like these cheese & wine pairing recipes, however you don’t have to have an elaborate spread with a tasting. 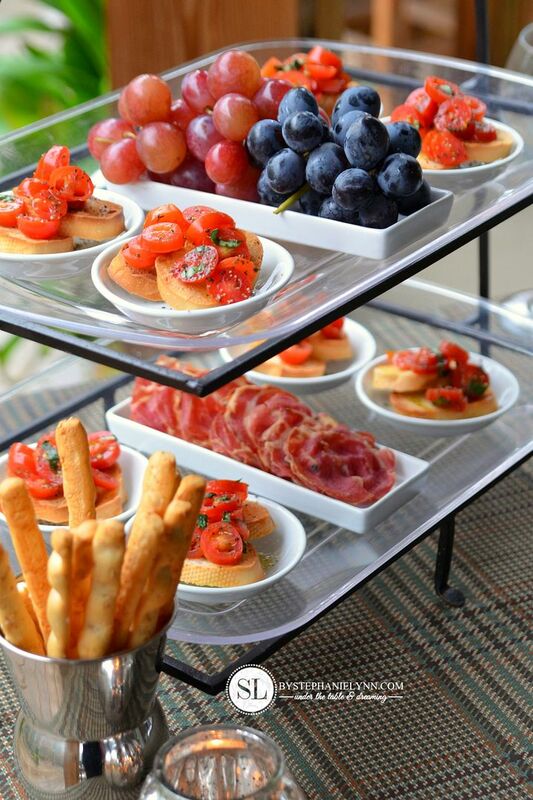 Keep it casual by starting off with a few stress-free appetizers so your guests are not tasting on an empty stomach – and offer a selection of neutral-flavored snacks for guests to clean their palate between tastings. 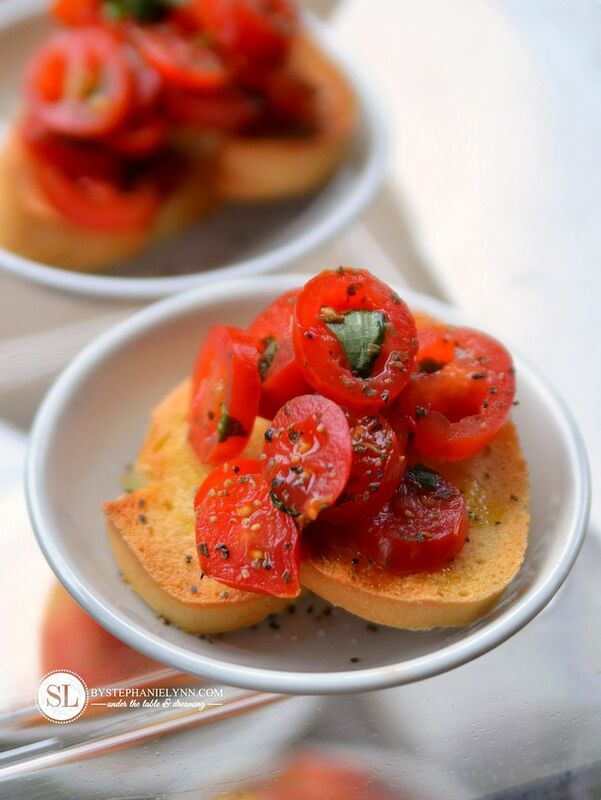 This tomato bruschetta a quick and simple recipe made with toasted slices of bread topped with sliced grape tomatoes and seasoned with fresh basil, salt and pepper. 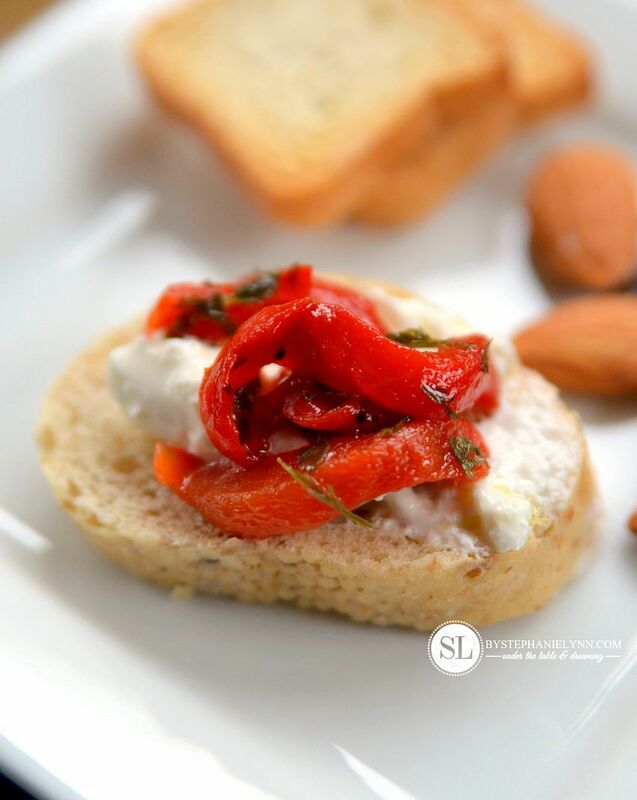 An assortment of plain bread, mini toasts, crackers and breadsticks – perfect palate cleansers between tastings. 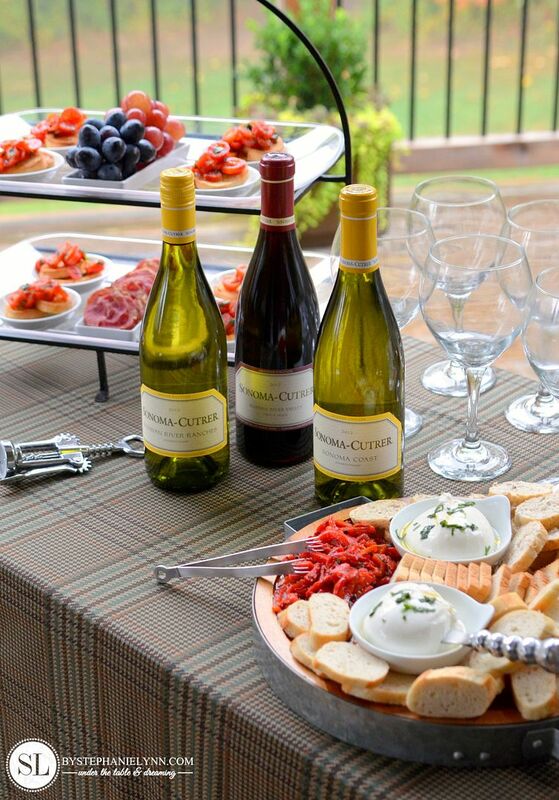 Keep Sonama-Cutrer in mind while hosting your next dinner party or during the holiday gift giving season. Looks fabulous! 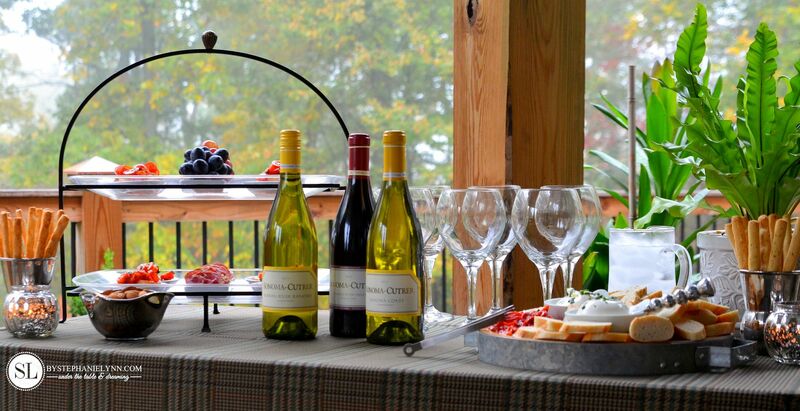 The way you’ve set up the whole table with the wine and snacks makes the idea of a wine tasting seem like a very do-able and relaxing way to entertain. Terrific way to try new wines too! Such a gorgeous set up for your party! Looks very inviting and appetizing. Thanks for sharing your tips! What a beautiful table setting. Love the table covering!